What is Private App Sharing? 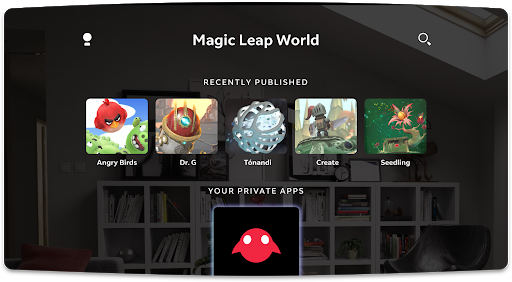 A Private App is an Application developers can share through Magic Leap World to a select audience. How do recipients get invited to download private apps? Using the Creator Portal, Publishers will be able to designate an application for Private Sharing and select a limited audience. Those selected will then be sent an email invitation. 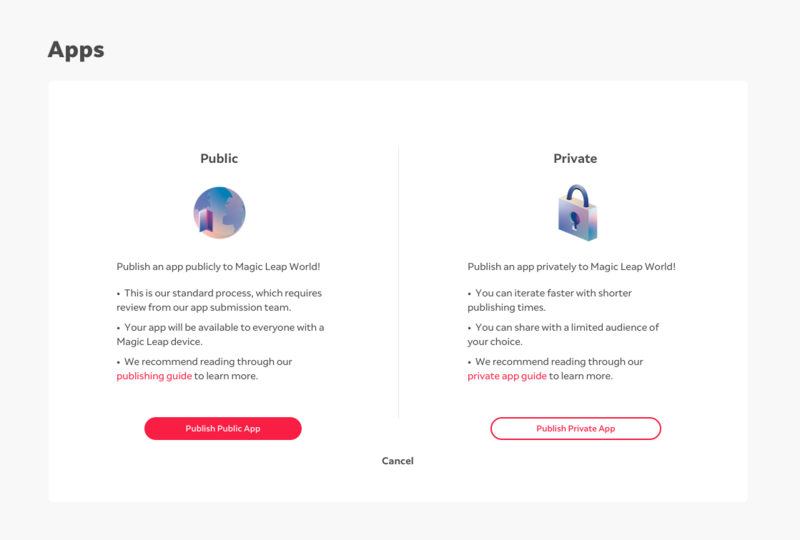 Once they have accepted the invitation, they can download the Private App on their device from a dedicated section in Magic Leap World called "Your Private Apps". How does the distribution list work? Each Private App is shared through a distribution list comprised of email addresses. Maximum Recipients: Up to 25 email addresses may be added to the distribution list. They must accept the invite over email. Until they accept, invites can be revoked. Once accepted, access to the beta cannot be revoked at this time. The only users who will see this app on their Store page are the ones who accepted the email invite. Minimum Recipients: At least one email address must be added to the distribution list in order to submit the application. Updating the Distribution List: The distribution list can be updated at any time until the maximum number of invitations or acceptances have been met. Managing Distribution List: Email addresses may be added to the distribution list as long as the maximum has not been reached. Email addresses may be removed if the invite was not yet accepted by the recipient. The distribution list can be managed in the Creator Portal. When are invitations sent? : During publication, invitations will be sent upon app submission to the email addresses on the distribution list. After publication, invitations will be sent automatically when there is a new addition to the distribution list. Viewing in Your Magic Leap World: Your email address must be listed on the distribution list, and will count towards the 25 maximum. App Updates: Recipients will receive a system notification that an update is available in Magic Leap World when a Private App has been updated (a new version was published). Can there simultaneously be a private and public version of an app? Yes, a Private App can have the same name as a public application. However, there cannot be two private applications by the same name. Private apps must have their own package ID, so users should keep the public manifest ID from the private. Due to the above, users can potentially have both a private and public version of the same app on their device. While paid apps are restricted to the United States (due to payment setup), private apps are free and can be distributed without this restriction, a user in Canada validated this. How can a user, visually, tell the difference between a Private and Public App on their Icon Grid (i.e. not within Magic Leap World)? Public and Private applications will coexist on the Launcher's icon grid. Therefore, we suggest publishers create a distinction in the icon or application name. Can I create a priced Private Application? No, Pricing/Availability is not an option. Private App Sharing is a way for developers to share and learn. Private App Sharing may not be used to circumvent payment and merchant terms of the Publisher Registration Agreement. Publishers must register as a merchant and publicly publish an app to make money off it. For more information, visit the Magic Leap Creator Portal.